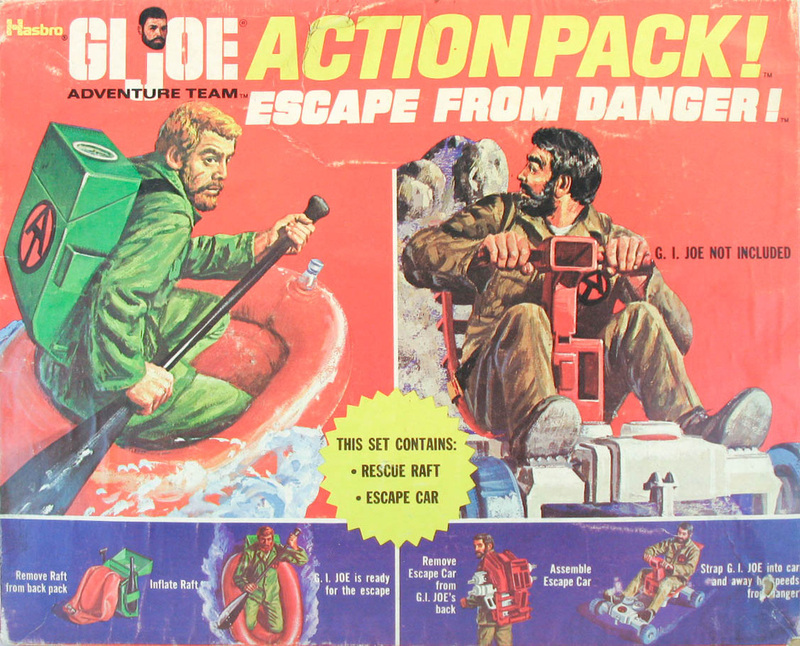 Escape from Danger (59714) was a 1971 Sears exclusive containing two action packs in one box, the Rescue Raft and Escape Car. The box art was adapted from the original single item boxes. These Sears exclusive boxes are tough boxes to find.